Pandas, wolves and beards – all of us have seen fancy hats before. 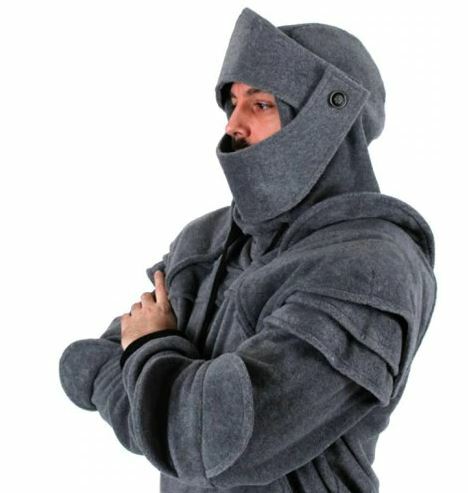 For those who have not fulfilled their dream of becoming a knight, which everyone has thought about in childhood, this knight’s cap might be something. Everyone else’s ears are at least warmed when the weather doesn’t play along. Also with the Hoodie always remember that the Chinese have somewhat other measures in clothing questions, accordingly here at least one number larger order. Further down in the offers you will also find exact measurements, so you can measure yourself here and order correctly.